For Sale for Sail; $5000.00 or a reasonable offer. a vacation home on Lake Millerton on the water!!! 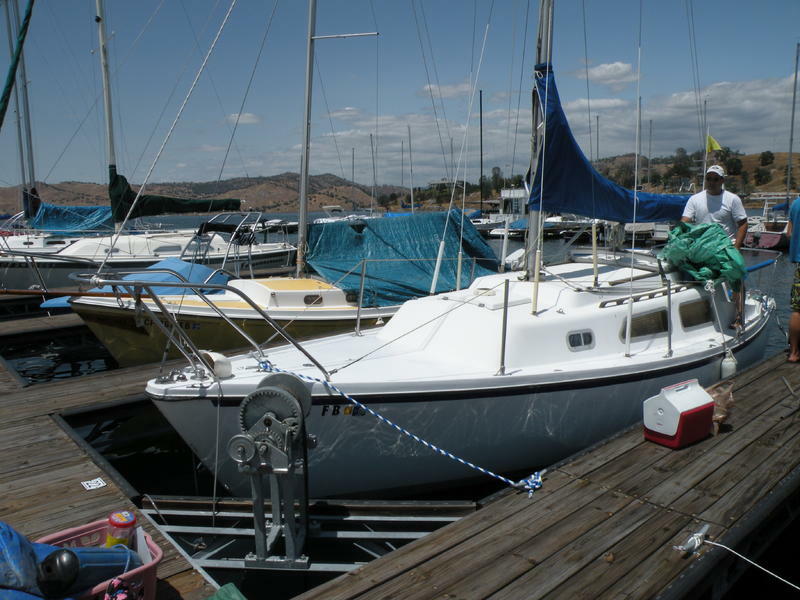 This Coastal Recreation sailboat has a hull made of fiberglass and has an overall length of 25.58 feet. The beam (or width) of this craft is 80 inches. This sailboat is rigged as a Sloop. 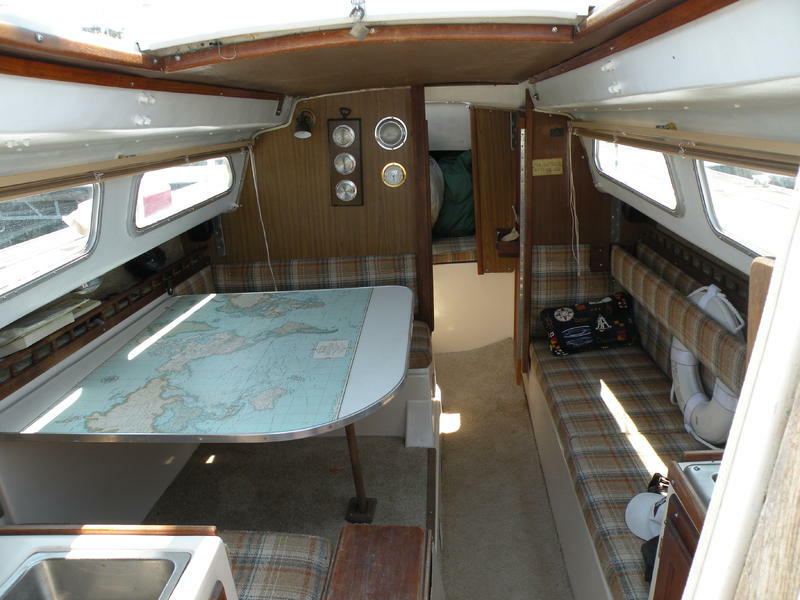 The sail area for the boat is 293 square feet. Approximate displacement for the vessel comes in at around 3600 pounds. With a 5′ draft (depth needed to sail). The boat is in excellent condition with the sails, carpet and upholstery replaced apx 3 years ago (old sails still in good shape and included). It has 6 hp outboard, new porta-potty, depth finder, CB, battery and other goodies.